A bifold door can help to remodel your home and give that ‘wow’ factor you have been looking for. On those lovely sunny days you can open up the back of your house so that it becomes part of the garden. A bifold door is a versatile answer to a lack of light and space when compared to French doors or traditional back doors. 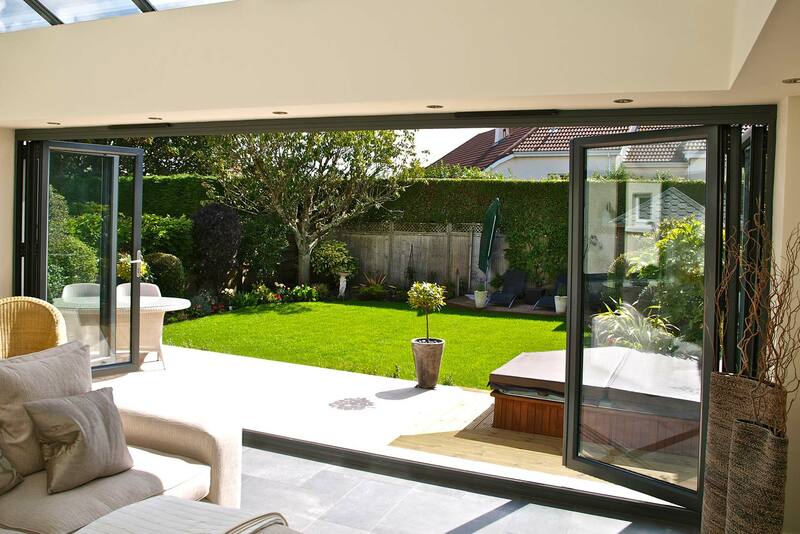 Here, at Camberley Glass and Windows, we have been supplying bifold doors to the people of Sunningdale and surrounding area for many years, so you can understand why our reputation as one of the most reliable companies in the area is important to us. You can also understand why the experience we have gained over that time can be of benefit to you. We stock an extensive range of bifold doors in different materials, colours and textures. All our doors are manufactured to exceed British Trading Standards which means that there will be minimal heat loss and maximum noise exclusion together with a high level of security. All our bifold doors have a fully insured guarantee. Our staff can help you with the selection of the appropriate bifold door to meet you needs and our professional fitters, who are fully qualified and FENSA registered, will expertly install it in your home. You can check to see what other people feel about Camberley Glass and Windows on our testimonials page, indeed much of our custom comes from personal recommendation. Also have a look at our high ratings on Checkatrade, and we are also on the Buckinghamshire and Surrey Trading Standards Approved list of traders. If you would like to find out more why not pay a visit to our new showroom at our offices in Camberley, Surrey, where you can have a look around, see what is available and pick up some brochures.